SIGGRAPH, the world's largest international conference on computer graphics and interactive techniques, has been host to innumerable groundbreaking talks, papers and posters over the last 40 years. 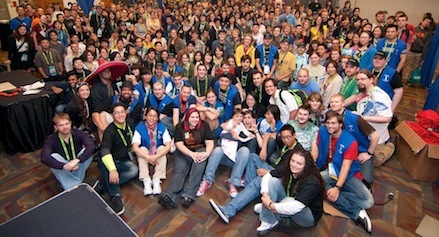 Many professionals first attended SIGGRAPH as student volunteers. The draw is obvious — those selected for the program receive full conference access and rare networking opportunities with SIGGRAPH volunteers and other students. Student volunteer applicants may also submit requests for travel or housing assistance, though funds are limited and not all volunteers receive assistance. SIGGRAPH 2014 may be six months away, but the deadline for student volunteer applications is almost here! All applications and supporting materials (including proof of full-time student status and housing or travel assistance requests) must be submitted by February 9, 2014, at exactly 22:00 UTC/GMT. Late submissions will not be accepted. SIGGRAPH 2014 will take place between August 10 and 14 in Vancouver, Canada. Join us!